To my disappointment, there is a clear lack of critical analysis and empathy for story telling that is not to the reviewer’s personal liking. This podcast would serve better if there was less crude subjectivity and more balance of the success and short comings of the books in review. It is easy to be critical of something. It takes a certain maturity, wisdom, and openness to express oneself in a meaningful way. Hopefully Luke can use these comments constructively. Side note: Luke rails against the tone, structure, and boring qualities of much of the books in his reviews. Perhaps he should listen to his own podcast. I think he would have the same issue. In a nutshell. Also he seem to mostly listen to audio books which, I do occasionally as well, but I feel it changes the experience. His reviews are muddy, rarely discuss the opinions of others and are very very basic. If you’re looking for intelligent discourse I’d look other places. I have included a greater review below that goes more into the details of my experience with his podcast. He has enjoyed many books I also have loved so I don’t disagree with him completely. However my experience listening to his podcast was somewhat frustrating as he seems keen to rush through a book and give a mashed up regurgitation of it instead of methodically engaging the ideas or writing inside the cover. This is to say he seems mostly concerned over shallow matters of plot and I believe he is inclined to only see the plot in shallow ways. As you can read in multiple reviews he is manic, chaotic and, uses extremely imprecise language in addition to not “getting” most classic or translated sci-fi. He seems to need a lot of character development and linear actions to enjoy a book. If he doesn’t enjoy it, it’s “Bad. Just bad. Awful. Just bad” Again, his descriptions leave a lot to be desired. He has a strong personality and I can see why some might be attracted to this podcast but I mostly found it sad that this incredible genre doesn’t hold more depth for him. Listened to his review on Three Body. Dude is garbage. That book is a masterpiece but he tears it apart. I got through nearly 50 minutes of one episode that I really didn't care for. I could tell from the beginning I didn't agree with him, but I figured I'd here him out to really understand his perspective. Unfortuantely, it was mostly just him talking about himself and about how his book is better. I want to go in depth about the review he did, but first I should say after finishing that one I decided to try out 3 other reviews of books I'd read. Two of them had won both a nebula and a hugo award. Obviously, he hated all of them. I think another reviewer has said he doesn't like a story that makes you think, which seems true. Some of them have depth and he really doesn't appreciate it. But even beyond appreciating the story, it felt like everytime he was making it about him. I thought maybe the first one (Replay by Ken Grimwood) was because it was very similar to his book, but even the others he was "oh I thought this was perfect for me because the character does this this and this and I did this this and this so thats like totally me." Obviously I'm paraphrasing but it was like you aren't adding to anything he was just trying to further undermine it when he just said it was boring. So to reveiw, he seems to have trouble with depth and he makes it about himself. Now, for the reveiw I listened nearly all the way through (Replay) I had a lot of problems with it. He had a german guest, and I like what she had to say more, even though it wasn't a glowing review. But Luke's biggest problem was that this book didn't do time travel as well as he did. This book was one of the inspirations for groundhog day. It helped to invent this format of the story. It was brilliant. The german reviewer said she appreciated it for that and for the depth it went into to really play out how your average joe would react. Because new stories have this premise already introduced in the past, so they don't have to lay out the ground work for how it all works. That foundation was unique to her because she hadn't seen that in other books. To which Luke responded that what he kind of did that in his book. (I didn't like their dynamic. He interupted her repeatedly and wouldn't let her speak). To Luke, the fact that this book created a an entirely new sect of sci fi wasn't a positive, it meant the book was tedious. But thats what makes it so great. Im the story, one of the replayers make a movie with Spilberg and Lucas before they were big relying on the same thematic structures that they created. In that timeline, it was seen as groundbreaking, but only becasue it was new. Those of us looking in know its just a reash, and those movies are often the worst. I think thats what look really hated about it. His book was legit a rehash of what Replay does, and he bends over backwards to make himself seem like the genius. Apperantly he reviewed his OWN book in one podcast. I won't be checking that out, but I can only imagine the level of self love he gives himself. I fell like I am being really harsh, but I tried 4 different reviews and hate I wasted my time. Not good. Had to stop because he totally missed the point of every book review I listened to. It seems he needs to give up reading and just start watching the movie adaptations. How in the world can you review a book without reading it? Lovely to hear - quirky is good when smart and lacking ego. STILL TRUE. I really like the show. He's funny, smart, not an academic, not grinding any axes, just a man with a plan and a Martian canal. I don't want to be insulting, but I would rather hear him alone than have him add his current girlfriend/fiancee, although despite my wondering her actual interest in the matter, she makes some very good points and at times keep the dear boy from tangentializing too far. But, honestly, I don't listen for the last-word critiques. I listen because of the tangents, the personal passion, the occasional self-aware silliness, and the commitment to SF. If I can understand some of the other kinds of comments here, it doesn't make me enjoy the podcast any less. The snarky reviews show their hands immediately, because it is such a demanding niche field. But this is one podcast I look for updates. Very short sighted and ill structured review. Spent 5 minutes talking about speed of the audio book. Disappointed. Personally, I don't think anyone can "review" a book that they didn't even read. I've already heard two episodes in which this guy blatantly states that he barely read one chapter or a couple of paragraphs of the book he's reviewing before he decided it deserved zero stars and it sucked and he wasn't going to continue. There's nothing wrong with not finishing a book that isn't grabbing your interest, but you can't review it for others if you didn't read the whole thing. Well, just like this dude reviews books without reading them entirely, I'm basing my review on those two episodes and dismissing the entire podcast as terrible. I have listened to about five of Luke's reviews. That is a lot of whining. I understand he is working on a fantasy book himself. Well, all I can say is that it better be really, really good after I have listened to him trash successful fantasy authors like Patrick Rothfuss and Joe Abercrombie. I have just recently read Abercrombie's First Law trilogy and was amazed with Luke's reviews. I was amazed with what I considered Luke's lack of understanding with what the author was trying to do. Luke wants all the answers now. He doesn't seem to understand that in a trilogy many of the answers will come later. That is part of the point. In his review of The Blade Itself, Luke whined incessantly about not knowing what is going on. I don't think Abercrombie wanted you to know everything that was going on in the first book. Luke makes constant references to The Lord of the Rings. This is another complaint I have on his reviews. Every book isn't Lord of the Rings. Just like every rock band isn't the Beatles, and every church isn't Chartres Cathedral That doesn't make them bad. It's OK to be just a good, simple fantasy book. That reminds me....the continued reference to Bayaz as "Gandalf" is both cheap and disrespectful. If you are going to do a podcast review....at least bother to know the names of the characters. I think Luke fixates on aspects of books that just aren't that important. Like how many times the author uses the word "grimace". OK, but the irony is that Luke spends way, way too much time complaining about something that he thinks the author over uses. Furthermore, in his review of the first Rothfuss book, Luke was completely bothered by how much audio time was used up telling a story in relation to real time. Luke was beside himself on this point and I kept asking....who cares? I appreciate the effort and motivation to do these podcasts. I just haven't heard anything I have agreed with yet. I think Luke comes off as self-important. Oh, and, yes, I am on of those American reviewers that Luke thinks don't offer much substance. First... the host needs to find some way to organize his thoughts before hitting recort. I grabbed a couple of episodes of this for books I've already read because I always like to gain new or interesting insights and compare them to my own. Don't bother with this doofus. One major issue is that the host doesn't actually read the books he reviews... apparently he feels audiobooks are equivelant, but his inability to even explain the basic plots shows that it obvioulsy isn't. I was listening to the review of "Armor," arguably one of the more important books in its subgenre, and he casually trashes the entire book while simultaneously missing the entire point of the story (the duality of Felix/The Engine, something not even mentioned.) Honestly... I sort of thought this entire podcast might have been satirical, but this simpleton actually seems to believe he's reviewing books. Agree or disagree with the views expressed, they are presented in such a conversational and relatable way, one can't help to appreciate the thoughts that go into each episode. If nothing else, it offers good cautionary tales, and equally good sales pitches for books. Also, the asides and updates on the life of a cruise ship juggler is sometimes more fascinating than the wild tales reviewed. But hey, he is a critic. At least you know he was thinking as he was reading the book. All too often the word Critiscize is losing his meaning, just because you have something to say or a flaw to point out, doesnt mean you dislike it, or dont understand it. Also, just because you dont agree with what you're hearing doesnt mean what he is saying isn't valid. That is just rediculous. I like Luke's podcast because he always gives me a different and original view of the books that I intend to read, or have already read. Carry on Luke Burrage. In the latest episode, the host and his significant other bicker about audio levels. It’s very uncomfortable to listen to someone berate his partner and its a shame that it was not cut out. While this is not the first time we’ve heard the hosts’ partner on the show (this is the second significant other as far as I can remember) this is the first time I’ve heard the host be this unbearable. Since his partner is not a native English speaker, the host tends to interrupt her while she’s talking with words or phrases. I find that quite rude and unhelpful. He rags on some of the best fantasy novels. I don't think he actually likes fantasy. I listened to 4 different reviews, and have come to the conclusion that Luke lacks some perspective. As noted in other reviews, Luke views all stories from his current 20-something world, with no awareness (or none verbalized) of the context or history surrounding the stories. All must meet his own currently popular social values and views or be subjected to tirades lasting 15+ minutes on how inappropriate or ridiculous a scene/narrative/dialogue is. There are some bits that are fun to hear, but largely Mr Burrage is missing the overall view to worry some niggly bit on and on. The format is very scattered and wandering, which is reminiscent of conversations with friends on books, but gets too far afield too frequently. I hope that given some more time and experience Mr Burrage will expand his acceptance and understanding, and perhaps fine-tune the rambling narrative. I've listened to this podcast off and on over the years because he does read a lot of scifi books which I haven't, and I want to learn about them. HOWEVER when the books he reads intersect with those I am familiar with I almost always disagree with his opinions. This has happened at least four times in the last few months, leading me to the point where I don't trust this guy as a reviewer any longer. Simply put I don't trust this guy's book ratings and don't think he would be able to suggest good books for me to read which I would like. Also he has the strangest habit of nitpicking minor problems in the books he reads, blowing them out of proportion and making them seem massively important to his audiance even when they are minor. If this guy's opinions on books somehow go through a 180 I might come back. But after all the bad reviews I know he's given I don't think he will. I really wanted to like this podcast, but it was so bad. Uninformed, poorly organized, incorrect “facts.” Give it a try, but I’d say he needs to go back to the drawing board. Your review of The Way of Kings by Brandon Sanderson was absolutely awful. Not in score, 4 stars is about right, but your actual review was storming terrible. I can't believe how long you took talking about cursing, spren and your storming opinion on sexism. Storm off. When this fool says that Brandon Sandersons magic systems are a joke and boring he proves he's an idiot! I loved his comment about him being one step ahead of the author and the main character when reviewing the book Mistborn! This guy loves to toot his own horn and you can really tell he loves to hear himself talk. A rambling mess. I listened to 5 episodes just to make sure this guy was a bad as he came off!! Yep... He did and does!! What really urks me is the way he messes up the pronunciation of the authors name, intentionally, thinking he's cute. The best part of this is how he talks about all of his fans that listen and when he rambles on and on about being a author, even though I can't find one book this idiot has written. The single best moment was when he went on for more than two minutes about how he will not accept books from authors, he demanded not to be bothered or spammed by authors. His worlds were. "I am not a publicity machine for new authors so do not spam me trying to get me to read your book. If you want me to read and review your book than wrote a good one! One of my friends or many fans will find it (if it's good) and tell me I should read it!" What a pretentious jerk! This guy did and said just about everything in the world one should never do if they want to build up a fan base!! Deleting any u heard episodes right away. Luke, joined on occasion by his girlfriend, Juliane, give thier comments and opinions on the Scifi books they read. I do not always agree, but find thier ideas interesting and fun to listen to. I'm a big reader, but not much of a sci fi reader. I really enjoy the way Luke breaks down the novels he reads and the fact that he simply reads on his own schedule then posts the reviews. He's got a very welcoming manner about him and I've started reading more sci fi because of this podcast - particularly Red Mars, which is brilliant. I like this podcast, it is a fun listen! Here is what I think this podcast can improve: - Luke always seems to be in a rush; I just feel it can slow down a bit - It isn't necessary to always correct the pronunciations of English words to his German girlfriend Julia. We all know what she is trying to say when she says "Beta" or whatever. I love this podcast. Luke Burrage is a great speaker and gets his point across in a direct manner. He has saved me from reading a lot of books I am sure I wouldn't have liked and also introduced me to a number of others that I would not have known about but have throughly enjoyed. If you like science fiction books then tune in and enjoy. Very shortsighted….but thinks his opinion transcends. Not shortsighted in that he doesn't put time and effort into his rambling of how bad books are but seems to take any collectively well reviewed book and smashes every detail in it into something that has been done before. For example in his review of Joe Abercrombie's The Blade Itself, there is a character named Bayaz that can perform acts of magic, so he is of course named/called 'Gandalf' throughout his entire podcast review. The two characters could not be more different. The only comminality that those two have between them is that they both perform magic. This book/series is nothing like Lord of the Rings... I've listened to 7 of his podcasts thus far and yet to have come across a positive opinion of a book he's read. I'm so glad I discovered this podcast. I'm a new dad working full time with precious little time to keep up with my love of reading sci fi and fantasy. Luke's thoughtful and interesting discussions of books he's reading have been a great find. I couldn't disagree more with the negative reviews of this podcast. Luke's reviews do have a clear structure and if he does veer off to dwell on a certain point, well it's usually because it's illuminating and worth dwelling on. If you love thinking about and discussing the ideas and strengths/weaknesses of books you'll have a great time with this podcast. I enjoyed the couple reviews I have listened to and will listen to more. I had a similar experience with Atlas Shrugged. I attempted on three seperate occasions to get through ponderous swamp of a book and three time abandoned at various points--the last time getting about three quarters through. I just couldn't take the "greed is good" philosophy of the book. I marginally liked the theme but it is buried beneath too many characters and plot threads. A marginally better book by Ayn Rand is The Fountainhead. It is silly at moments and the dialogue is laughably wooden but the theme keeps it afloat. I am current re-re-rereading I Am Legend and amazed how no one has come close to capturing the book on film. I think the best person for the job is Jim Jarmusch. It has to gloomy and low key. The Willl Smith version was a joke. If I were to film it it would be virtually silent and black and white. Anyhow, enjoy the podcast. Keep reading. I thought reviewing a book required reading it, and I thought reading a book required, well, reading. Audio books may be a nice way to pass the time on a road trip or to ease the worker's commute, but for even a semi-serious discussion about "books" it seems laughable, if not annoying. Perhaps such a taboo is slowly finding acceptance in certain techno-centric circles like those of the podcasters, but coming from a literary or scholastic perspective I am finding it very hard to take seriously. I only write this to encourage you, the proprietor of a book-review podcast, to consider reading, really reading. Or to reframe the podcast, call it an audiobook review, and to avoid using the verb "read" when you have done no such thing. I love audio books, but the experience is much different, less nuanced, and I am less available and less accountable to the text when I am listening. A few of the comments you made, in reference to an audiobook you'd "read," were inaccurate, and if you are to be treading the delicate ground of critiquing another's work, any inaccuracies only discredit your other, possibly valid opinions. The necessity of such a distinction is an interesting phenomenon sprouting from the age of the ipod, and please consider changing the framework, or at least the language used, when conducting your reviews. All that said, I appreciated some of your insights. How do you give any kind of a review for a book you didn't finish? He also tries to give a review of Rand's philosophy. Maybe instead of Atlas Shrugged he should have read Anthem. That is more science fiction and is more of a smaller bite reading wise. It's true, Mr. Burrage's taste in science fiction runs to the banal and the trite. This podcast wouldn't merit a review were it not for the rather mind-boggling insults he levels at some of the genuine classics of the genre. Other reviewers have already commented on Mr. Burrage's penchant for trashing anything of substance, so I won't bother going into much detail. I do, however, want to defend (very briefly) Walter M. Miller's A Canticle for Leibowitz against the summary dismissal it received on this podcast. For style, Miller's book can hardly find it's match in the genre. His prose slides seemlessly in and out of poetic detail. Read the second paragraph description of the approaching hermit as he comes into focus out of the distance, if you would like a quick example of what I mean. In fact, what really sets this book apart from other works of science fiction is precisely its style; most novels in the genre lack style altogether. From the first page, you feel that Miller has made deliberate choices about his audience, and those choices are clearly expressed through the blackly comic point of view of Brother Francis (among others), through the ironic title (Saint Leibowitz was Jewish), in the wry character of the wandering hermit, and, in fact, in the somewhat cryptic use of "telling" names throughout the book. These stylistic choices not only signal us as to what sort of audience Miller intends us to be, but they also set up a rather profound--because non-tragic--story about humankind's struggle against fatalism. I don't want to venture too deeply into the "message" of the book, though no doubt it offers several. That is not the strength of A Canticle for Leibowitz. Its strength lies in its ability to be received, rather than merely "used" by the reader. It is an over-full story, and there is genuine joy awaiting the reader who can simply inhabit it without the need to engage in egoistic fantasies, i.e. readers who only read books in which they can imagine themselves as a particular character. The egoistic reader, as I believe Mr. Burrage to be based on his reviews, requires that the book be something "usable" in this regard. It is something to stoke fantasies. A great piece of literature (and a great reader) invites the reception of a work in a more disinterested way. He or she reads the way God watches the world (take me metaphorically if that comment makes you uncomfortable): with a deep interest in everything going on, and because of that pan-interestedness, the great reader reads a great piece of literature in a sense disinterestedly. This review has wandered from the strengths of Miller's novel to the strengths of his ideal reader. I'll stop before going on too long. Closing remarks: Mr. Burrage's south of England accent can sometimes come off as nails on a chalkboard. This is prehaps the problem of an American ear, but the accent does strike me as a bit hammed up from time to time. If Mr. Burrage would like to drop insults about an American accent (as if there were only one rather than a few dozen), then perhaps he should work on his own first. He's no John Gielgud. Lastly, I would recommend Mr. Burrage read a primary text or two about the Medieval Period. As unpopular as it may be to say, the Muslims destroyed the greatest library in the Christian East, pillaged some of the books, and then conscripted Byzantine Christian monks to run the reconstituted library under Muslim rule (because Muslims had no idea what was of value and what was not from the Ancient Greek and Roman civilizations). Byzantine Christian and Irish Catholic monks preserved the texts of antiquity, not Muslims. I bring this up here only because Mr. Burrage parroted this popular myth of Muslim scholarship while trashing A Canticle for Leibowitz. Then again, a man who devotes so little attention to science fiction novels is unlikely to pick up a couple of primary texts and while away the time in a university library. Oh well. Needs to get to his main points more quickly. Way too much rambling. So... How to begin? First to the people who write low reviews of Luke; take a look at what you are actually writing and who you are writing it about. At the beginning of every single podcast, Luke clearly states that the podcast is about the sci-fi book he reads as he reads them (and he says this is just MY opinion so if you don't agree, thats fine). Second, he may bounce from topic to topic, but he does give pro's and con's for each review he does. Now, on to my review of the podcasts... Luke, keep up the good reads. I am more into sci-fi now than ever before because of your reviews! These book reviews are very thoughtful and highly listenable. And though I don't always agree with Luke's opinions of specfic books, he always backs up his views with a clear and reasonable analasis of the book. These are among the most clearheaded, honest and entertaining science fiction book reviews you're going to find in audio or text; I'm always glad to see another episode come out. I have listened to about five of the episodes and for two of them he didn't even finish reading the book he was reviewing. I'm fine with him having a different opinion than I on a book, in fact I welcome it. However, give reasons for your criticisms please. Horrible books can be the source of great intellectual discussion, but when you just dismiss a book as "rubbish" you cheat yourself of any learning you might have gained. Please . . .couldn't take it anymore. This fellow sounds to me like a hamster on speed. Non-sensical ramblings that remind one of finger-nails scrapping across the blackboard. I've been listening to his podcasts for many months now and I look forward to every episode he releases. The Genre of science fiction actually encapsulates a larger portion of literature than many might think and Luke runs the gambit. He is very well spoken and always has a lot to say about every book he reads. I find this podcast informative and entertaining on every level. 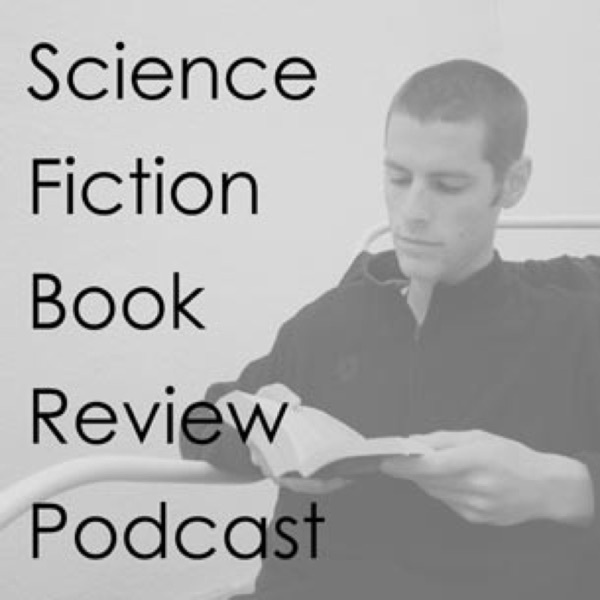 Listen in as Luke Burrage misses the point of nearly every Sci-Fi book he reads. It becomes increasingly apparent as you listen to more and more of the episodes that Luke does not like to be challenged by his reading material and instead likes things to be as direct and 'standard' as possible. For someone who claims to love Sci-Fi, Luke has no love for the masters of the genre who got it to where it is today and insists on viewing older works through the lens of current standards and values. Not only does this allow him to bag on alost every significant work of the last 100 years (often derided as being woefully inaccurate by the standards of current scientific knowledge instead of appropriate to the knowledge at the time), it also limits his scope of 'good' Sci-Fi to those authors who have produced works in the last ten years and have catered to the masses rather than challenging our perceptions and sensibilities by taking chances with their writing and trying to show us a new way of looking at things we accept as normal. One of the best book review podcast on the net. I started listening to the show a few months ago.. since then I went back and listened to every episodes. Let's just say my reading list has grown tremendously. I only wish he would create a spoiler version of some of his podcasts. Truly love the show. This podcast always skips to the head of my listening queue when a new episode comes out. I've found some of my new favorite SF novels because of Luke Burrage. I sometimes disagree, but never regret listening. Keep up the good work! I just listened to two of his podcasts, and did not agree with one, and I think I agree with the other. I say THINK because his meandering unstructured "narrative" I find nearly intolerable. One word; OUTLINE. For the love of god, man, you took the time to read the book, take a few minutes to slap together a plan. You're all over the place. Instead of gabbing on in the beginning, have an opening. Intro the book. Give a summary. A general pronouncement. Follow this with perhaps a pros/cons list, or a formatted breakdown(critique the setting, then character dev., etc.). Relate possible suggestions for different authors one might enjoy. these things aren't constricting; they keep you from sounding like an idiot. Now I don't think you are an idiot. I just think you could do better. This guy only wants simple fantasy stories where stupid farm boy finds a magic sword and leads his party into a castle to destroy the the evil wizard. If the story gets more complicated than that then he says there is no plot or direction. Millions of Gene Wolfe's and George R.R. Martin's readers are wrong and this guy is a genius! My number one source for sci fi reviews! In depth and interesting reviews. Great podcast. Even if you haven't read the book and don't plan to, Luke's enthusiasm, insight, and sense of humor (and accent!) make these podcasts worth listening to. They're upbeat even when he goes off on a rant--sometimes the rants are the funniest. I'm impressed by anyone who can talk intelligently about a single book for over half an hour without repeating himself or getting boring. This is one of my favorite podcasts! Entertaining, enthusiastic, and brutaly honest! Luke is an amazing book reviewer. He is obviously passionate about the subject, and brings a wild enthusiasm to every review. When he finds something he likes, he is not afraid to give the uptmost praise, and when something comes along he does not like he holds no punches. But he is very fair in doing so, and can usually find something good even in the worst-reviewed books. I love listening to the SFBRP. Luke Burrage is a down to Earth guy with a great sense of humor and great insights into the books he reviews. I have found some great books from listening to his podcast. I have also come to appreciate books that I did not much care for when I first read them. But what I find most interesting is when Luke doesn't like a book that I like. I find that while I still like the book, I can still appreciate where he is coming from. I often find myself laughing out loud at some of the plot holes he finds in books. I heartily recommend this podcast if you enjoy reading SF.